CN's A44681-15 train rounds the classic bend at Slinger Road, soon to knock down the North Ackerville signal. 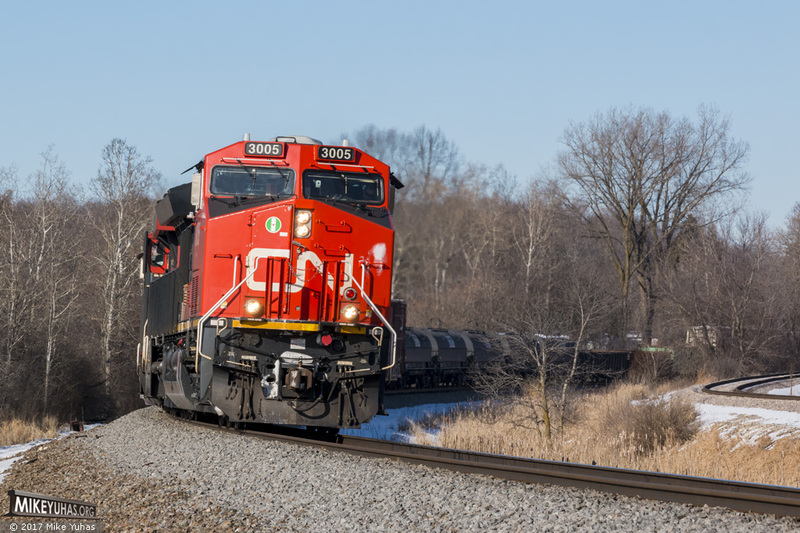 Train markup: CN 3005, CN 2816, CN 5794; 89 loads, 42 empties; 13,056 tons; 7,341 feet. Track at right is the Wisconsin & Southern Milwaukee Subdivision.